Beach Bodies Are Made Now! We know it’s still only February, with months to go before beach season. But if you’re interested in enjoying smooth, care-free skin for the summer, now is the time to schedule your laser hair removal treatments. Here’s a quick primer on getting the most from laser hair removal so you can don your bikini with … Read More! So Santa snubbed you. It’s time to take charge of your happiness by scheduling a medical spa treatment. That’s right, the time is right to gift yourself with a series of laser hair removal treatments. In case you didn’t know, the winter is an ideal time to undergo laser treatments to boost efficacy and lower … Read More! Did you know that laser hair removal is one of the most popular aesthetic procedures? We have performed thousands of successful laser hair removal treatments and achieve superb results for our clients. 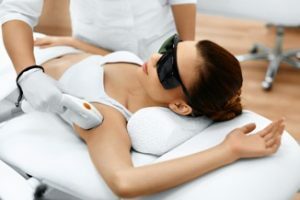 If you’re considering laser hair removal, here are some important treatment blunders to avoid to ensure your treatment is a smooth-sailing success: Mistake … Read More! We know that the last thing on your mind is laser hair removal, but now is actually the ideal time to start prepping your skin for the sultry days of summer. Before you book your laser hair removal appointment, we want to offer a word of caution: Be selective! In case you missed the news … Read More! Now that we’re officially in the midst of sweater weather, it’s time to start thinking about scheduling your laser hair removal treatments. We know it sounds silly because bathing suit season has long since passed. And next Summer seems oh-so-far away. 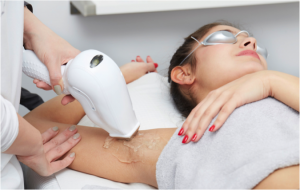 Nevertheless, the cooler months of fall and winter are prime laser hair removal time … Read More!